And More.... Contact a Socialite Representative Today! Not every Planning Firm is able to provide next level service. 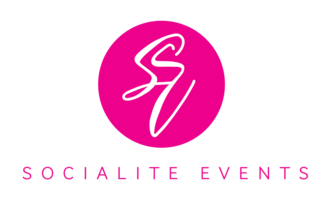 Take advantage of The Socialite Event Experience. Socialite Events has developed relationships with the best designers in area. We are happy to facilitate the connection with such skilled professionals that are highly capable of taking your event design to the next level and we are confident that you will not be disappointed! A Socialite Representative will walk you through a one-on-one meeting. This one on one meeting is included in our Concierge and Trendy Socialite packages and can added on additionally to other packages. Event décor and services is priced separately. Socialite Events is excited to offer our clients this additional upgrade service to add that special hint of fabulous to your event. Call for pricing. Who is SAM you ask? SAM is our state of the art Skin Analysis Machine! This Skin Analysis Machine is designed to quickly identify hidden skin conditions by applying the latest scientific imaging techniques. The science of UV imaging has been around for over 100 years, and Socialite Events is proud to bring you the most advanced device of its kind due to the new internal reflectors that effectively double the light. Treatment options are priced separately. •	External magnifying adjustable viewer quickly identifies areas of concern. •	New internal reflectors that DOUBLE the UV-A light = Increased resolution! Healthy couples make Happy Couples! Allow us to help guide you to a Healthy Happy Heart and a Tailored Slim waist for you next event! Allow us to manage your guests from recommendations for room gift bag novelties to handling the room block itself. We are also in the business of taking away the hassle of RSVPs. This option is offered as a part of our Concierge and also comes with our Trendy Socialite Package. Contact a Socialite Events representative for additional details.